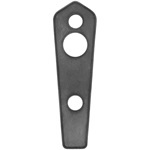 Pad, rumbleseat step plate mounting, rectangle type for top of fender.Length: 4.875 inches. Width: 4.25 inches. Pad, trunk handle body mounting. 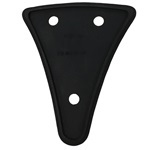 Mounting pad, trunk hinge. Four (4) piece set.Length: 7.625 inches. Pad, rumbleseat step, later type.Width: 4.75 inches. 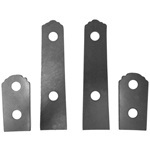 Mounting pads, trunk hinge, four (4) piece set.Length: 5.5 inches. 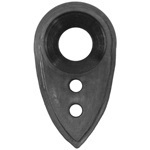 Mounting pad, trunk handle and lock escutcheon plate.Length: 2.875 inches. Width: 1.625 inches. 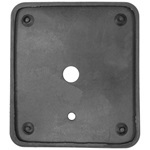 Mounting pads, trunk hinge. Four (4) piece set.Length: 8.8125 inches. 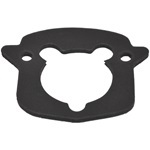 Gasket, trunk lock emblem escutcheon. 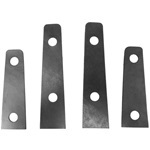 Steel rule die cut rubber of exact profile.Width: 1.875 inches. Height: 1.9375 inches. 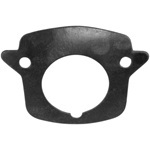 Gasket, trunk lock emblem escutcheon. 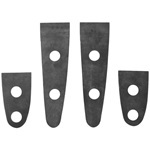 Steel rule die cut rubber of exact dimensions.Width: 2.0 inches. Height: 2.0 inches. 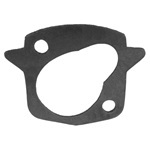 Gasket, trunk lock cylinder. 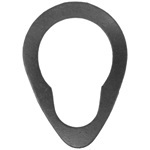 Steel rule die cut from one thirty seconds (1/32) inch dense rubber.Length: 1.75 inches. Width: 1.25 inches. Height: .